Have you noticed how quickly we can become enraged with someone if they 'wrong' us? We can actually throw friendships away because we get mad so quickly. I mean we can be friend for years, and years and one thing can be said, that really is not the definition of that person's charter, but nevertheless they say something and we get so angry that we just trash our relationship. What in the world is wrong with us? I have to admit I have tried to get revenge, and I never have felt good about it inside. I always end up feeling the horrific consequences of my actions and it really never fixes anything. 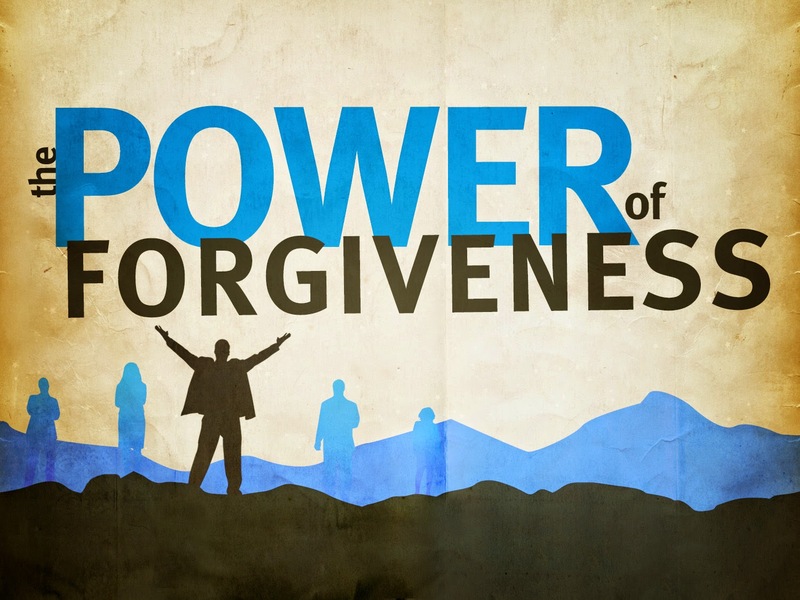 The fundamentals of forgiveness should be just as natural as breathing for you and I as Christians. It should not look foreign to us. It should look and feel like a warm blanket to us. Forgiveness has been on my mind as of late. I really do want people to know that if I have wronged them, and I know I have, so therefore…let me restate that. Those people I’ve hurt or caused to stumble, please forgive me. I long for you to be free, free in Jesus! So in order for me to find freedom I must seek forgiveness. So many times we think that keeping that bitterness towards someone allows us to be “one up” on them, but really if you’re angry there is truly no way to stay ahead of the game. Not only will YOU be miserable, but your health takes a turn for the worse…and instead of being consumed by thoughts of Jesus, your consumed with thoughts of getting even, and as a result of that you commit idolatry. So in short don’t harbor anger and un-forgiveness, rather allow Christ to rule your heart, and forgive as you have been forgiven. And just in case you don’t know YOU’VE BEEN FORGIVEN OF MUCH!